A charity run by prominent Brexit donor Arron Banks has been under investigation by the Charity Commission. The charity – called Love Saves the Day Foundation – is also being wound up, The Ferret can reveal. Public documents suggest the charity might not have raised or spent any money. The Charity Commission opened a ‘compliance case’ on Love Saves the Day Foundation in the wake of media reports about Banks’ Brexit spending. A compliance case is the first step in a potential full inquiry into the charity. The compliance case recently closed but the Charity Commission said it has “an on-going regulatory interest” in Love Saves the Day (LSTD). In response to questions from the Ferret, the Charity Commission said that LSTD had told the regulator that it is in the process of being wound up. “The charity has not wound-up yet — it intends to — but that doesn’t mean our engagement with a charity or its trustees has concluded,” a Commission spokesperson said. But one of the charity’s trustees told The Ferret he had “no idea” about the compliance case or that LSTD was being wound up. “I didn’t even know there was a compliance case,” said James Pryor, who was in Lesotho when The Ferret initially contacted him. He later confirmed that the charity is being shut down. “Yes, it is closing down. They are going to wind it up,” Pryor later said. Further action could be taken against Banks’ charity even though it is being wound up. “We haven’t concluded our interactions with the charity. We cannot provide any more details around that,” a Charity Commission spokesperson said. The commission has been in correspondence with the trustees of the charity, which includes Banks and Leave.EU CEO Elizabeth Bilney. Banks established Love Saves the Day in 2015. It claims to operate in Lesotho and Belize but the charity’s only set of published accounts list no funds received or spent. Pryor was unable to confirm whether or not the charity has ever spent any money. “I don’t know if (money) went through the accounts of Love Saves the Day. It’s Arron’s project,” he said. But in June 2015 a trustee told the Charity Commission that LSTD had received requests from interested donors, according to correspondence released under freedom of information legislation. The documents also show that at the time the charity told the regulator that trustees would receive monthly financial reports. Pryor, a former advisor to the last apartheid leader of South Africa F.W. De Klerk, Margaret Thatcher and Ukip, was unaware that the charity was being wound up but later confirmed this was the case in another phone call with The Ferret. “I’m the person on the ground…It’s Arron’s charity,” said Pryor, who is one of four trustees of the Love Saves the Day Foundation, according to the charity’s annual report. “We do a lot of stuff out in Africa. We are working with women’s groups in Lesotho, (and) lots of others,” he added. Banks – who claims to have spent £9m on Brexit – has long-standing business interests in Lesotho and Belize. Pryor, who has been working in Lesotho for a number of companies linked to Banks, is also a director of Kophia Diamonds, a company run by Banks that owns a number of mines in South Africa. Questions have been raised about the source of Banks’ wealth since he surprisingly emerged as one of the UK’s largest political donors in 2014. Labour MP Ben Bradshaw recently cited Banks while calling for an investigation into alleged ‘dark money’ and the Brexit referendum. Leave.EU communications director, Andy Wigmore, is also a trustee of Love Saves the Day. A naturalised Belizian, Wigmore represented his adopted country in shooting at the 2016 Olympic Games and he was Belize’s diplomatic envoy to the UK before losing that job earlier this year. Banks’ offshore interests were included in the Panama Papers. He is listed as a shareholder of PRI Holdings, together with two other people. One of them is Elizabeth Bilney, the chief executive of Leave.EU, a director of Banks’ pro-Brexit news site Westmonster and a trustee of LSTD. Love Saves the Day claims to support projects in both Belize and Lesotho. In its only published set of accounts so far – for the year to May 2016 – the charity said it had received no funds, spent no money and made no charitable grants. But almost a year earlier, in June 2015, LSTD told the Charity Commission that it had received requests from donors looking to make donations to the charity but in the subsequent eleven months it did not record a single donation. Correspondence between LSTD and the Charity Commission from March 2015 show that the charity initially had issues with its paperwork. Barrington-Binns erroneously listed the charity name as her own and did not provide necessary information on working overseas. In April 2015, Alison Marshall – who Banks names as Leave.EU’s finance director in his memoir ‘The Bad Boys of Brexit’ – sent supplementary information to the Charity Commission. Marshall is a director of both Eldon Insurance, another Banks company, of Better for the Country Ltd, which donated £100,000 to Brexit. “The trustees will in particular, identify any specific risks applicable to Belize and Lesotho to ensure that any due diligence and monitoring risks for donations in those countries are adapted accordingly and enhanced due diligence,” Marshall said. “International activities will also be monitored separately in an annual external audit to take place by an external auditor or auditors in each country where the Charity has operations who will include a monitoring report,” Marshall added. Banks has made several charitable donations. Love Saves the Day’s website lists over one dozen projects – almost all in the UK – who’ve received money from Arron Banks, but these all appear to be in a personal capacity. 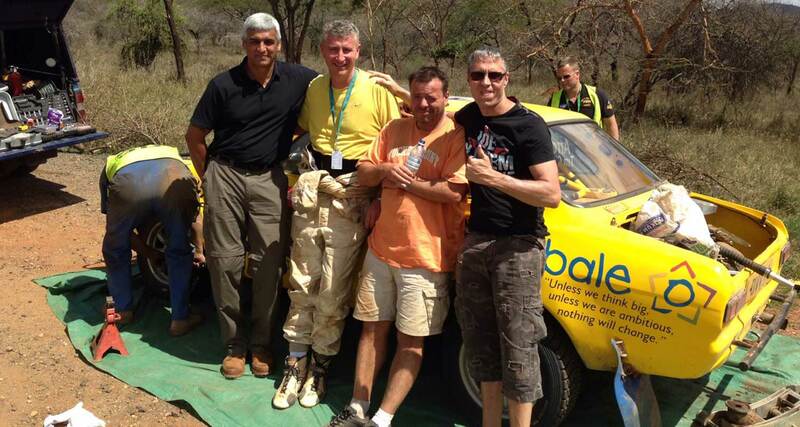 He has competed in the East African Safari Classic Rally and helped build a paediatric hospital in Belize. Among projects Banks has supported is the Federation of Lesotho Women Entrepreneurs. The donation was made after the Federation president Mamahlapane Magdalene Rakuoane was introduced to Banks in London, by then Lesotho High Commissioner in the UK, Felleng Makeka. After she returned home, Banks gave the project around £88,000. According to documents in the public domain, this donation was not made through LSTD. Banks mentioned LSTD when he gave an interview to The Times earlier this year. Asked if he supported any charities, the Brexit donor said: “I set up the Love Saves the Day Foundation”. All the trustees of Love Saves the Day have been approached for comment. Andy Wigmore, Arron Banks and Elizabeth Bilney have yet to comment. The story was edited at 17.15 on 30 October 2017 following a response from Susan Barrington-Binns. Additional reporting by Billy Ntaote in Lesotho. Cover image from Love Saves the Day Foundation website.